Free Shipping Included! 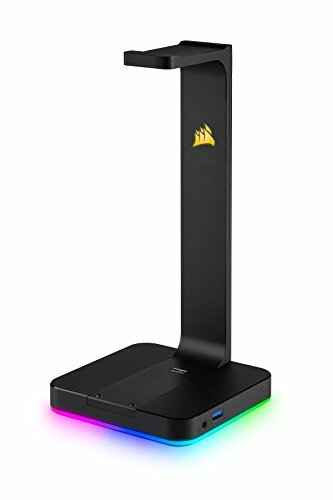 Corsair ST100 RGB - Premium RGB Gaming Headset Stand with 7.1 Surround Sound Headphone Audio - 3.5mm Jack and 2X USB 3.1 Ports by Corsair at Pacs BG. MPN: CA-9011167-NA. Hurry! Limited time offer. Offer valid only while supplies last. Proudly display your headset with the ST100 RGB premium headset Stand, featuring premium aluminum construction and customizable RGB lighting.